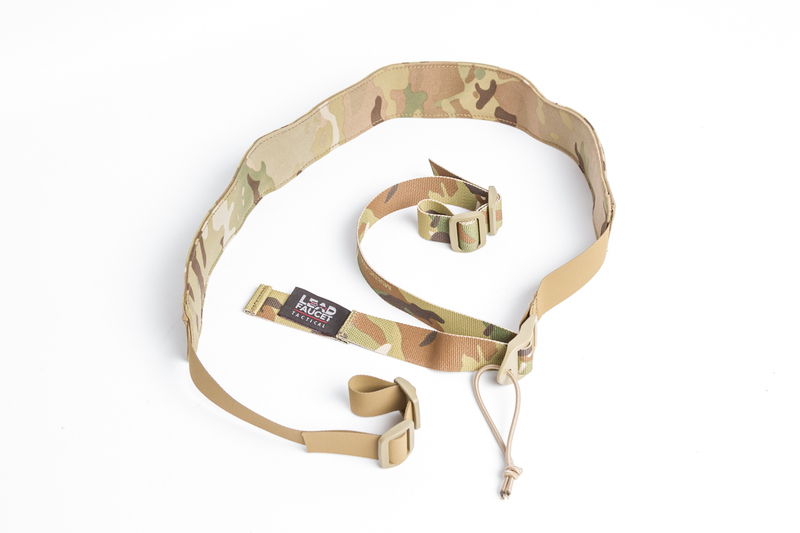 The LFT Lightweight Carbine Sling, designed by Dan Brokos of Lead Faucet Tactical and manufactured by Armageddon Gear, is just about as light and compact as a “padded”, quick adjust sling can be. The sling is so compact and pliable that it can nearly be shoehorned into a chew can! The sling is constructed from nylon webbing, Hypalon, and Tweave. It is the use of the Hypalon and Tweave that thin out and lighten this sling. The Hypalon is thin, very resistant to tearing, and hard wearing. The Tweave “pad” is comfortable for the wearer because it has some stretch while also being hard wearing. The sling functions like many other slings on the market. The user pulls the webbing end to tighten the sling quickly. They can pull the cord tied into the slider to loosen the sling just as quickly.